EK a Slovenian boutique PC Cooling company is proud to announce the launching of pre-built fully liquid cooled Gaming PCs under the name of EK Fluid Gaming Systems. All systems are based on an MSI motherboard and NV graphics cards, G.Skill memory and all are Ryzen 2000 based. Some may find it surprising that there are no Intel systems, but due to pricing and value I can see why they would go this route. EK says with the current GPUs crisis going on, they will be allocating GPUs to purebred gaming PCs to be used for gaming. In addition to the default configurations of their PCs, you can fully configure your gaming rig. Each of the offered configurations is a base to build your dream PC come true. You can pick each core component for your perfect gaming PC which will suit your needs. That’s right! You can pick a motherboard, graphics card, RAM, power supply, SSD, HDD or both. A large variety of components is available, including the newly released 2nd generation of AMD Ryzen processors. For those interested in even more customization, you can pick an awesome CableMod Pro series sleeved cable kit as well. 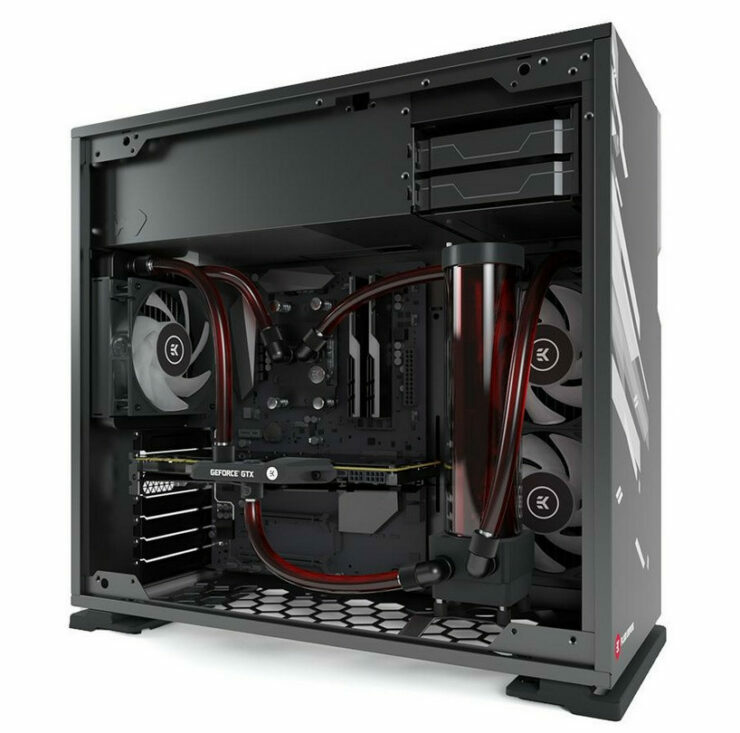 EK Fluid Gaming Systems are pre-built, but aren’t your big dull OEM systems. These are aimed directly at systems from Origin PC, Falcon Northwest and Digital Storm. 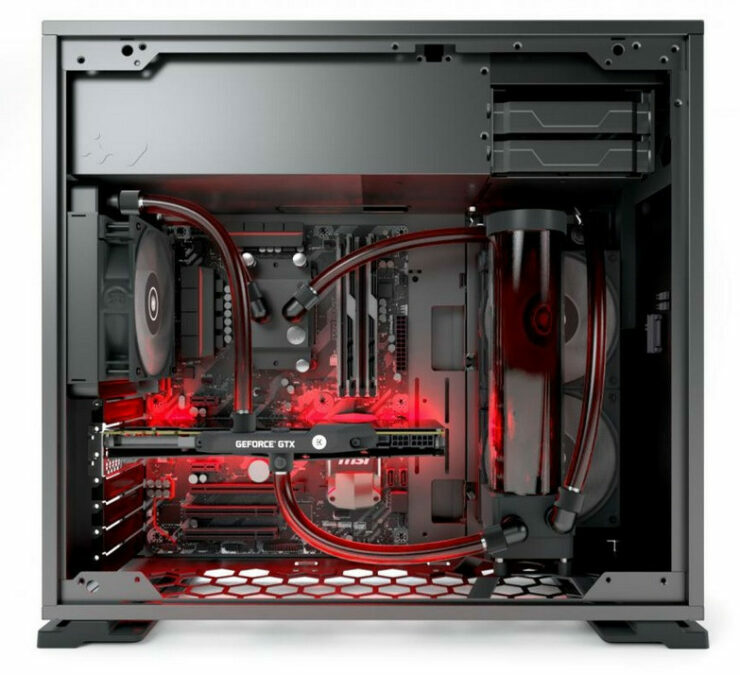 You can choose from pre-built custom made, custom painted PCs, but you can also customize your gaming rig by choosing from various coolant colors and fitting colors. Each PC is built from a selection of carefully chosen hardware parts. EK claims they teamed up with some of the best brands in the world in order to offer you the best possible gaming PC for your buck. 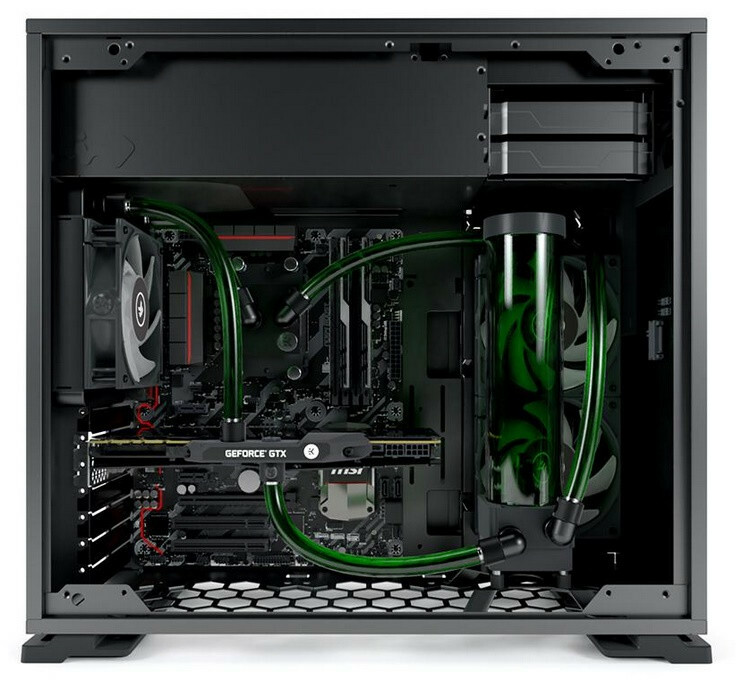 A full range of pre-installed liquid cooling parts allows the PC to breathe with full lungs and run your games at maximum possible settings and FPS. EK Fluid Gaming Systems are available for pre-order through the EK Fluid Gaming web page and will start shipping in the first week of May 2018. For the time being, shipping for EK Fluid Gaming Systems is available only on the territory of the US. The basic fully liquid cooled EK Fluid Gaming System PC starts selling from pricey 2099.99$ and is fully configurable.